Hyssop is plant cultivated specifically for its essential oil. It can be found in Egypt, Israel, Greece and France specifically in the regions of Haute Saone and Doubs (Jura). Hyssop Essential Oil has a pleasant and aromatic odor what is dark yellow in color. Its principal components are alcohol, thuyone phellanderene, geraniol borneol, large quantities of pinocamphone and terpenic ketone. Hyssop’s name is from a Greek word “hyssopus” and a Hebrew word “ezob” that means “good scented herb”. It is a bright green, bushy plant with dark narrow leaves that grow to around 1 – 2 feet high. It resembles the lavender and rosemary plants. 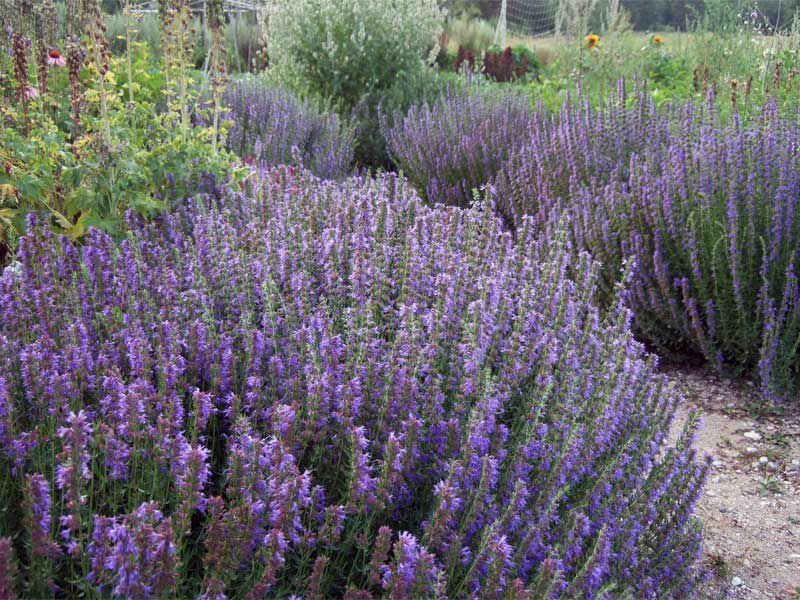 It is known to grow wild in areas of France with rocky soil as well as old ruin in Britain; it is used ornamentally to border gardens and hedges along with catmint, rosemary and lavender. The beautiful flower of this plant is usually colored royal blue; however, sometimes can be pink or white. It is very fragrant and very attractive to butterflies and bees. Up to the middle ages, it is one of the greatest herbs used and at one point it was used as protection against the plague and for its aphrodisiac effects when mixed with thyme, pepper and ginger. Hyssop Essential Oil as Astringent. Astringents work by causing something to shrink or contract. Hyssop Essential Oil being an astringent causes the gums, limbs, muscles, intestines, skin, abdomen, tissues and blood vessels to contract. This helps prevents skin and muscles from sagging due to age, loss and loosening of teeth, prevents hemorrhaging and wrinkles by contracting blood vessels. Hyssop Essential Oil as Antispamodic. Hyssop Essential Oil provides relief for respiratory spasms curing spasmodic coughs. It also treats spasms of the nervous system to cure convulsions and other related health issues like cramps, spasms of the intestines and acute abdominal pain. It also heals spasmodic cholera. Hyssop Essential Oil as Anti-Rheumatic. The oil promotes and improves circulation curing diseases such as rheumatism, gout, swelling and arthritis. Hyssop Essential Oil as Cicastrisant. Deep wounds heal faster and scar marks disappear once Hyssop Essential Oil is applied over them. It also helps fade away the spots from boils, chicken pox, insect bites and infections. Hyssop Essential Oil as Digestive. Hyssop Essential Oil stimulates secretion of gastric juices such as acids, bile and enzymes in the stomach which hastens the decomposition of carbohydrates, complex proteins and other nutrients. It facilitates the passage of food through intestines by the stimulation of the peristaltic motion by optimizing the absorption of nutrients by the intestinal villi. Hyssop Essential Oil as Carminative. The oil has carminative properties that helps in clearing gas from the intestines and provides relief from uneasiness, indigestion, heaviness, stomach aches, vomiting, nausea, loss of appetite and heart trouble. It also prevents the formation of gas and stimulates the downward passing of gas for a safe expulsion from the body. The oil contains pinocamphone, a component that can have toxic and fatal effects on the nervous system. It is therefore not recommended for sensitive people, children, pregnant women and people with epilepsy. As a topical application. Mix 1 drop of Hyssop Essential Oil with 1 drop of olive oil or V-6. 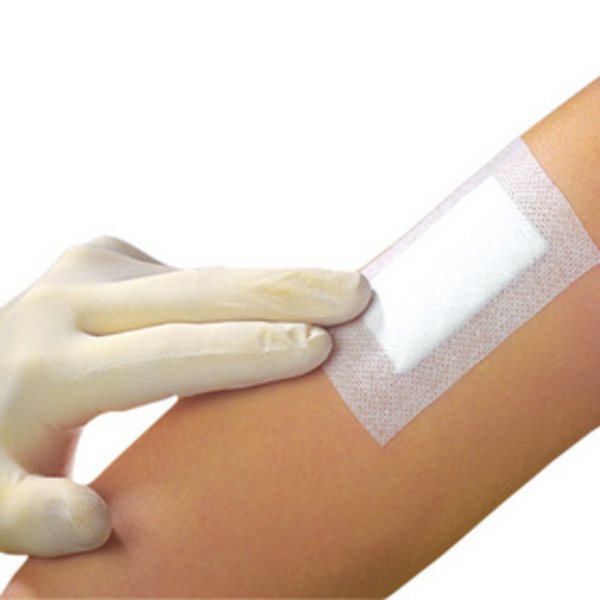 Apply to the infected area as needed. Another method is to boil 50 grams or 2 oz of the young leaves in 1 pint of water. Let it stand for 15 minutes, then using cotton, dab on the affected part like cuts, wounds and bruises. In aromatherapy. Just add a few drops of Hyssop Essential Oil in water inside a diffuser. Diffuse for 10 minutes three times in a day. As a tonic or syrup. To use as an expectorant, stimulant, decongestant to cure colds, cough, flu, bronchitis, chronic catarrh and asthma, pour a full pint of boiling water onto 1 tsp or 15 grams of young flowers and green tops of freshly picked hyssop. Let that infuse for 10 minutes then consume three cups a day in between meals. As a cologne. In most eau de colognes, Hyssop is one of the ingredients being mixed. It also present in the making of vermouth and absinthe. It is also infused in the rinsing water to make linen fresh smelling. Hyssop Essential Oil is extracted from the flowers and leaves of the plant using steam distillation. Gather a basket of leaves and flowers from hyssop plants early in the morning. Rinse then dry the leaves and flowers. Chop finely. Crush them to release their oils. Place a canning rack or clean brick at the bottom of the stock pot. Place the heat-proof bowl on top of the rack or brick. This will receive the condensed hyssop vapor. Put the chopped hyssop inside the bowl. It should fill the bowl halfway. Pour hot distilled water over the chopped hyssop enough to immerse everything in water but not spilling over the bowl. Turn the burner to high and wait until the water boils before lowering it to simmer. Invert the lid of the stockpot to cover the pot. The upside down handle will works as drip mechanism for the condensed vapor to drip into the bowl. Put several ice cubes outside the inverted lid along the center of the lid’s depression. As the ice melts, replace them with new ones. After 3 or 4 hours, turn off heat and remove the interior bowl. It should be filled with the condensed drops of the vaporized hyssop water. This product is called hyssop hydrosol or herbal water. To extract the oil, pour the hydrosol into a jar and place it in the freezer. The liquid portion of the herbal water will be frozen while the oil will remain as is. Pour the oil into a vial or small bottle. Seal it tight and store in a cool, dark place. Another use of hyssop is in syrup form. It is effective as a cure for flu, bronchitis, cough and as an after illness tonic. You can also use it as a gargle to cure sore throat. You should gather leaf tops and fresh flowers towards the last days of July up until early August. Make sure the sugar is totally dissolved. Leave it to marinate in a dark bottle for several weeks. Seal the bottle with a cork and then let it be exposed to sunlight. Patients should take 2 teaspoons of this herbal syrup daily, one in the morning and another at mid-afternoon. You can buy Hyssop Essential Oil from online websites selling essential oils and at organic stores and pharmacies. At www.newdirectionsaromatics.com, they sell in both small and large quantities. Young Living is also another popular brand. You can find it in specialty stores which carry this essential oil in small vials or containers. Hyssop Essential Oil blends well with other essential oils like Angelica, Geranium, Lavandin, Orange, Melissa, Tangerine and Rosemary. Pregnant women and people who are afflicted with epilepsy should avoid this oil because it contains the Pinocamphone compound that stimulates the nerves. Hyssop Essential Oil is also effective against diseases that result from viral infections like colds, cough, flu, mumps, sore throat, tonsillitis as well as asthma, eczema, dermatitis and inflammation.